The BBC and R&A have agreed to let Sky take over live coverage of The Open Golf Championship a year earlier than planned. 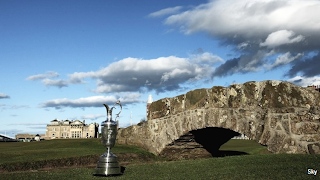 Citing "challenging financial savings targets", the BBC's Director of Sport Barbara Slater said that following the news that Sky had won the live rights for The Open from 2017, the decision to amend the contract from next year "was a pragmatic one." "In an ideal world, the BBC would still be the home of live coverage of The Open", she added. The move means that there will be no further live coverage of The Open on the BBC. Sky will begin showing the event from next year, with the BBC showing two hours of prime-time highlights each night. Radio coverage is unaffected by the changes.